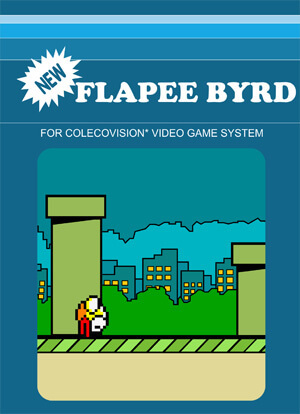 The objective is to direct a flying bird which moves continuously to the right, between each oncoming set of pipes without colliding with them, which otherwise ends the game. 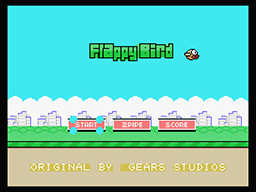 The bird briefly flaps upward each time the player press fire. 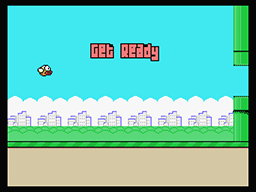 If fire is not pressed, the bird falls due to gravity. 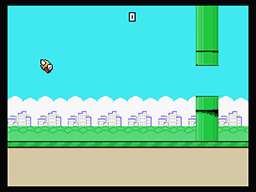 The player is scored on the number of pipe sets the bird successfully passes through, with medals awarded for the score.